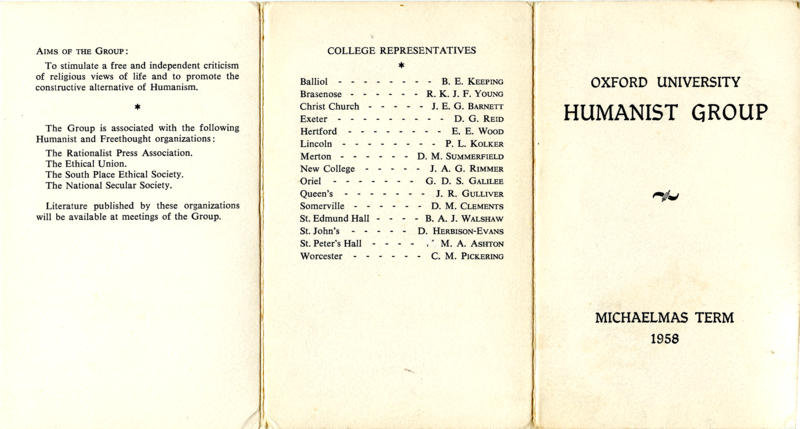 Many thanks to Derek Schafer for providing this copy of the card for Michaelmas 1958 when Nevil Steer was president, Tony Brierley secretary and Charles Pickering treasurer. 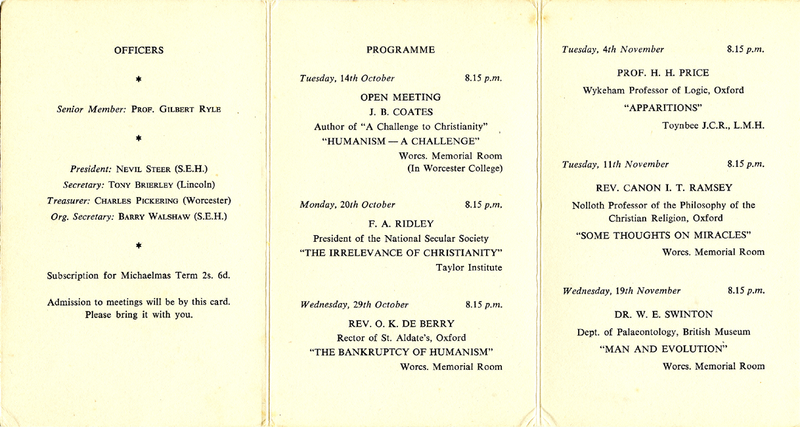 Speakers included F A Ridley, Professor H H Price and two clergymen. 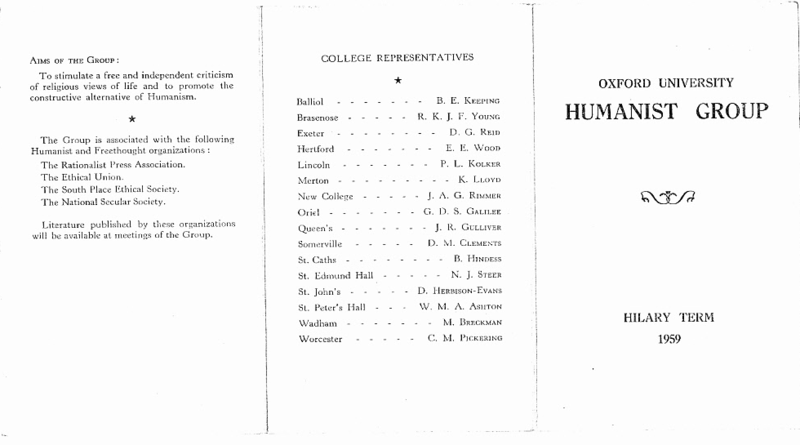 The president was Michael Dale, secretary Bryan Keeping and treasurer Charles Pickering. 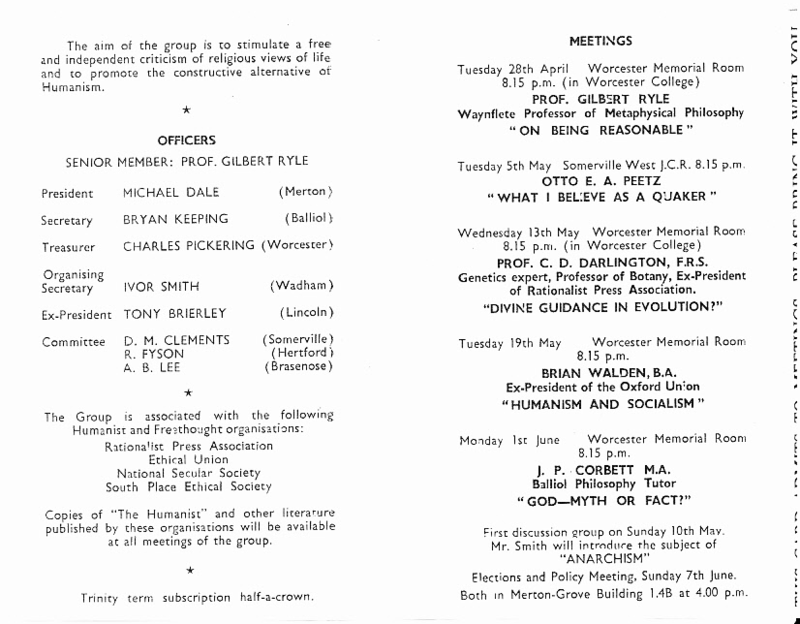 Speakers included Gilbert Ryle (who was the Group’s senior member from the start until 1966) and Professor C D Darlington. 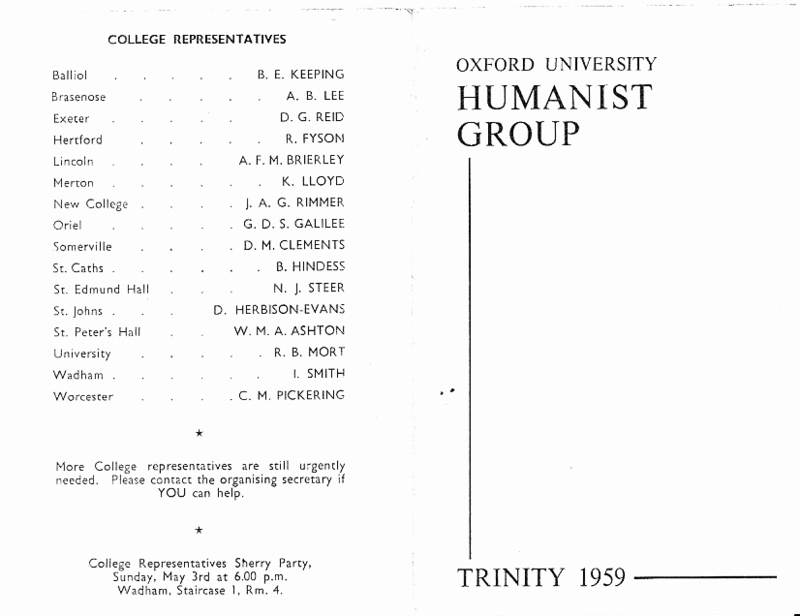 Tony Brierley was president, Michael Dale secretary and Charles Pickering treasurer. 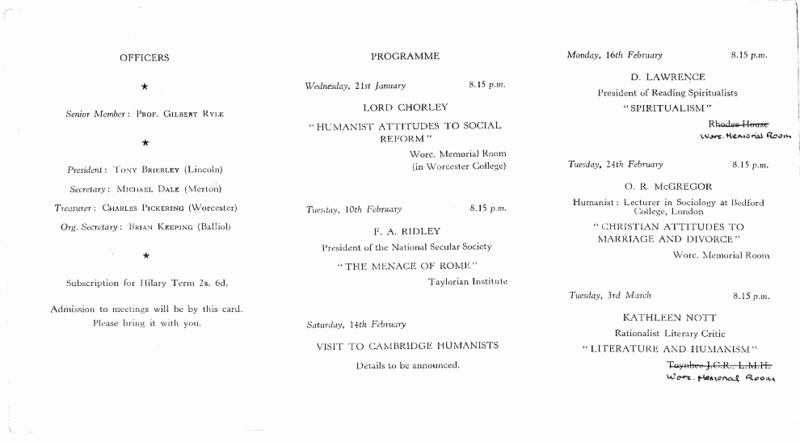 Speakers included Lord Chorley and Kathleen Nott.